Thank you to 911 Industrial Response Ltd., our competitive team sponsor for Mini Snipers and Youth Sergeants! KinderCheer is a preschool program for children ages 3-5 combining both preschool activities as well as cheerleading. 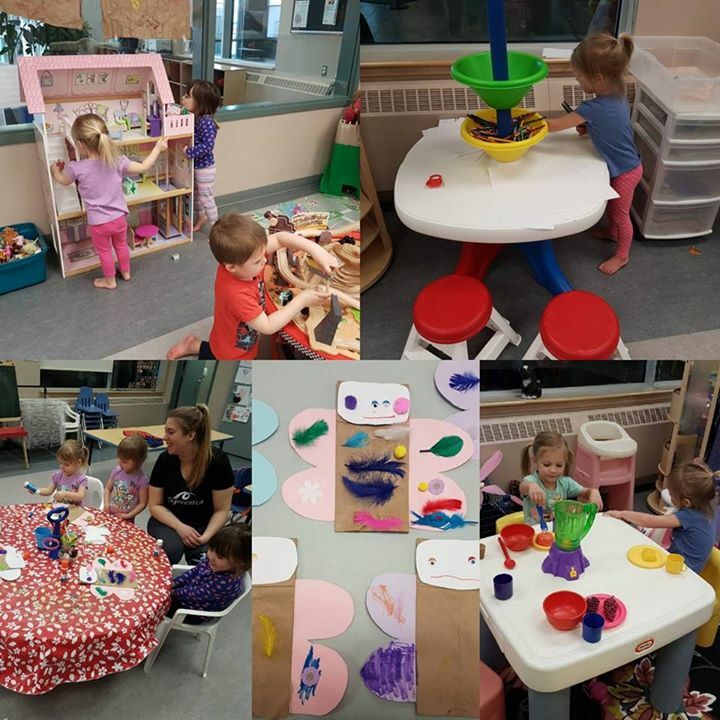 At KinderCheer your child is learning through play in a social environment. Our play centers and crafts will help him/her to learn to share and work on fine motor skills. Our time in the gym helps to burn off some energy and work on gross motor development, balance and coordination. The children will be busy learning different activities and themes each week. Theme weeks may include: Getting Acquainted, Winter, Groundhog Day, Opposites, Valentines, Family, Teeth, St. Patrick’s Day, Easter, Zoo, Big Machines, Dinosaurs, etc. All participants must be fully potty trained and 3 years of age prior to the start date of the program. Registration for this program can only be done in person as hard copy paperwork is required for each participant. 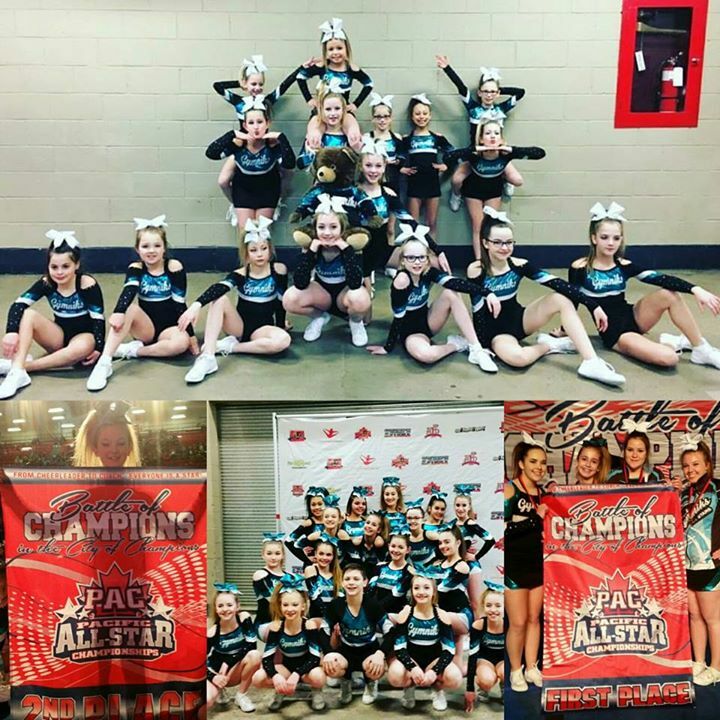 Our recreational classes offer an opportunity to “try out” a cheerleading program without all the financial and time commitments that all-star (competitive) teams require. 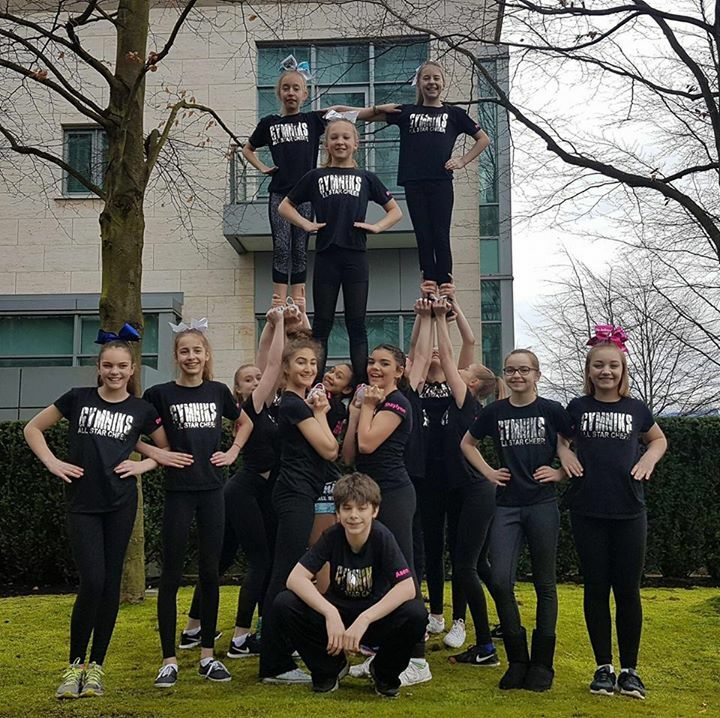 During the 9-week session, students learn the fundamentals of cheerleading including stunting, tumbling, jumps, motions, dance, and formations.Below you will find a variety of programs for ages 3 and up. Cheerleading welcomes a variety of skill levels from beginners and on! 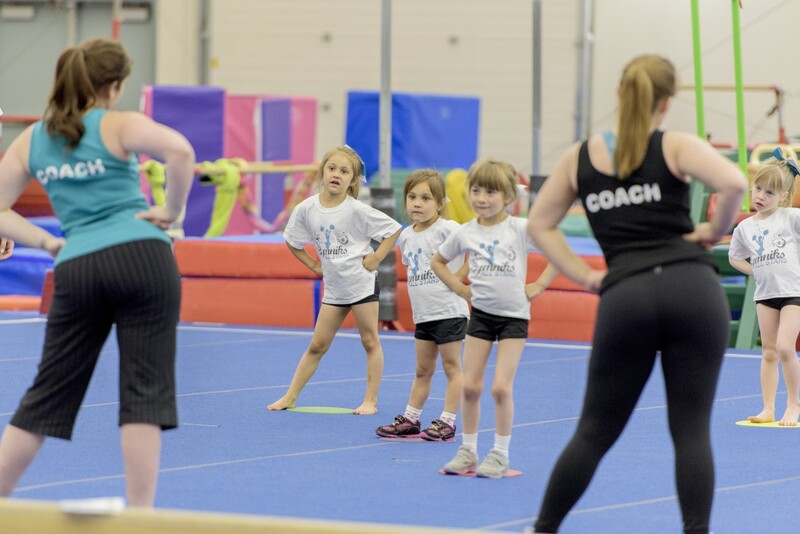 A 45-minute introductory cheerleading class for preschoolers and kindergarten aged children. Time is spent on skill building to ensure safety and sound development of fundamentals. Basic stunting and tumbling, jump technique and motions. Great intro to cheerleading! 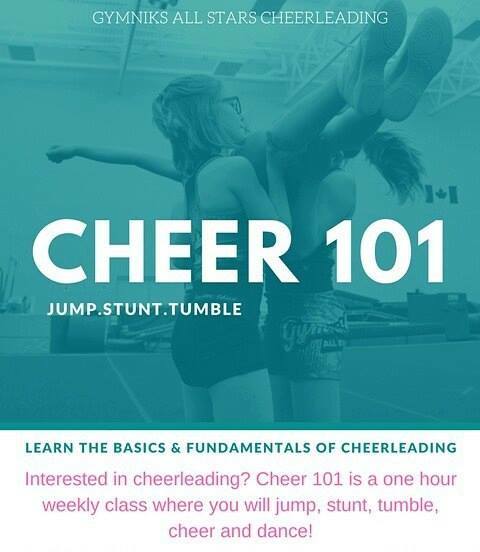 A 1 hour class focusing on fundamental skills of cheerleading. Basic stunting and tumbling, jump technique and motions. Great intro to cheerleading! All-Star cheer is one of the fastest growing competitive sports in Canada. Competitive cheerleaders do not cheer for a specific school or sports team. They cheer for themselves and for the love of the sport. Athletes work towards perfecting a two and a half minute routine, which includes acrobatic stunting, tumbling and dancing. Competitive cheerleading is a great way to improve your strength, flexibility, endurance, and coordination. Being a valuable member of a team is a great way to build self-confidence and develop social skills. Competitive cheerleading is the ultimate team sport, as it relies on every member of the team to be successful. Our cheer teams follow the United States All-Star Federation (USASF) rules for cheerleading. To give young athletes the opportunity to benefit from a challenging level of training and competition. To offer a challenging and rewarding program that will stimulate the personal growth of each athlete involved. To develop the best cheerleader possible. The Club level of competition in Western Canada is growing dramatically. It has to be understood that it is far from being a recreational program. The coaching staff expects a lot of determination, discipline, and dedication from each athlete. The coaches will emphasize physical, technical, and mental development with each cheerleader. The training sessions will be very challenging and will require great concentration, determination, coachability, and self-discipline from everyone involved. The coaching staff is receptive and happy to help young athletes cope with the demands of the program. Our primary goal remains the growth of each individual.